Ships today if you order in the next 4 hours 6 minutes. Montiff Pure L-Serine is a non-essential amino acid that plays an important part in collagen for both skin and connective tissue. This amino acid may help with connective tissue disorders or injuries. Every cell in your body contains serine in the form of phosphatidylserine, which lends flexibility to cells' outer membranes. Serine plays a role in activating blood and connective tissue cells and regulating blood coagulation, and tissue repair. 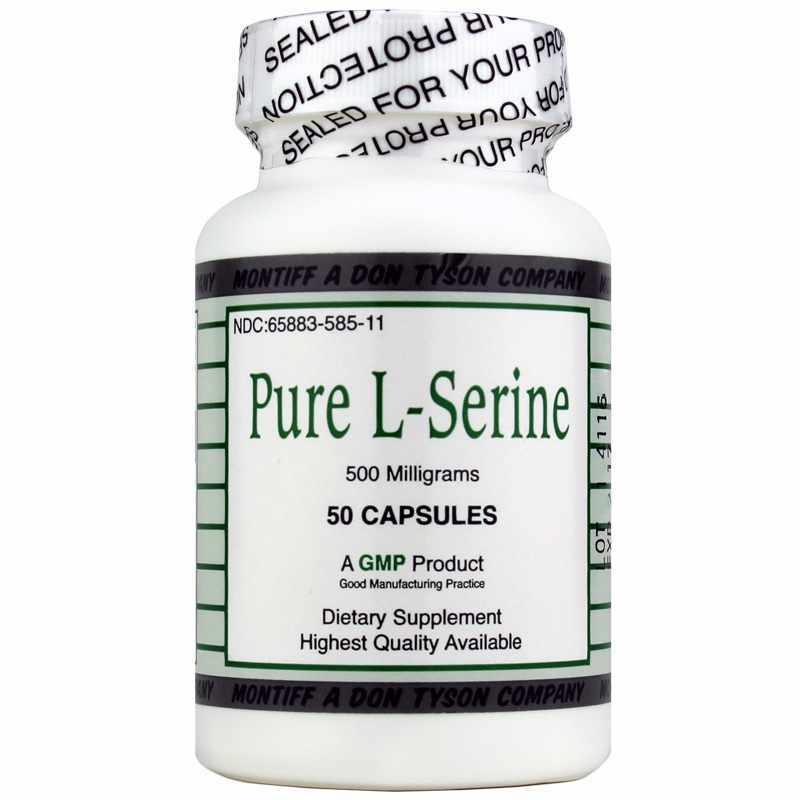 So while the essential amino acids threonine and lysine play a critical role in forming healthy connective tissues, serine improves cell membrane flexibility. However, all three amino acids are important for the vitality and elasticity of your connective tissues and for a robust immune system. Serine is not an essential amino acid because it can be produced in your body from threonine or glycine, another amino acid, with the help of niacin, pyridoxine and folate. Nitrogen-containing molecules with a wide range of responsibilities, amino acids are best known for constructing proteins, or long chains of amino acids that become the enzymes, antibodies, hormones and structural proteins within your cells, tissues, organs and bodily fluids. Contains NO: starch, corn, milk, wheat, yeast, sugar, eggs, salt, artificial colors, binders, flavors, preservatives, fish derivatives. Adults: As a dietary supplement, take 1 to 3 capsules daily or as recommended by a healthcare professional. To be used as a dietary supplement in a normal food program. It is recommended that this product be taken with vitamins and minerals. L-serine seems to have helped me in a couple ways. I don't know how or why but my sleep seems to be better and my thinking ability seems to be clearer. Supposedly good for healthy nervous system- I have been sleeping better, added about half an hour plus to sleep time. (From 6 to 6.5-7 hours). I don't know if this was one of the side effects of taking it to prevent alsymers disease or Lou Gehrig's or dementia but I felt like it has made a difference in sleep. The fact that research scientists studying this amino acid and its effect on dementia is enough for me to decide to take it.